On the first day of Christmas, my true love gave to me… a new spot for our Christmas tree. 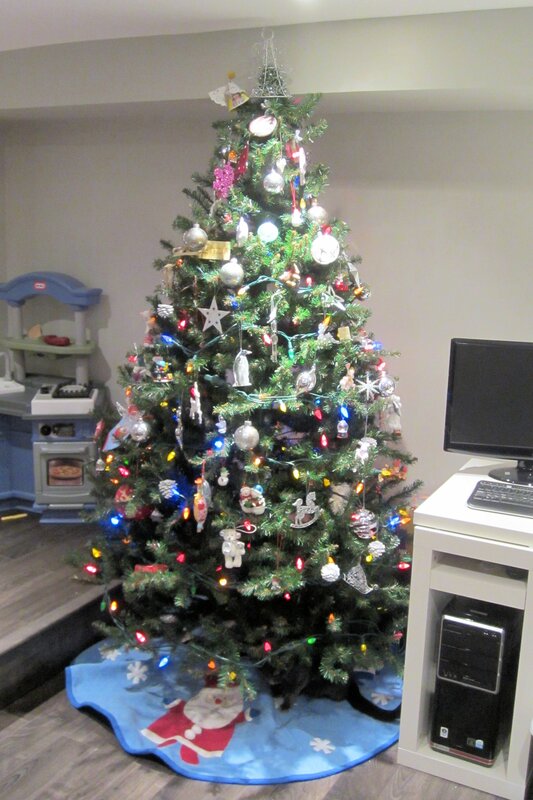 With the main space on the basement now fully renovated, we were able to set up the Christmas tree! We usually have our tree upstairs but now that we are spending way more time down in the basement, it seemed like the best place to put it to maximize enjoyment! Plus we have plenty of decorations upstairs as well… wreaths, garland, lights and mini trees! When it comes to our ornament collection, it’s a bit of a mishmash but that’s what I love about it! It may sound cliché, my each ornament tells a story. Our first Christmas in the house, we hosted a housewarming party and we asked people to forgo the typical gifts and instead bring an ornament for our tree. 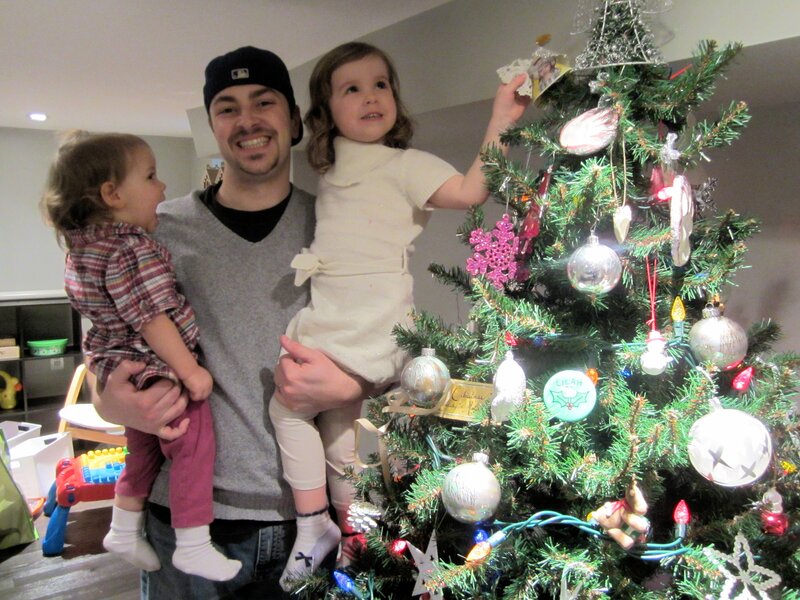 Since then, friends, family and coworkers have continued to give us something special for our tree each year. I love it! 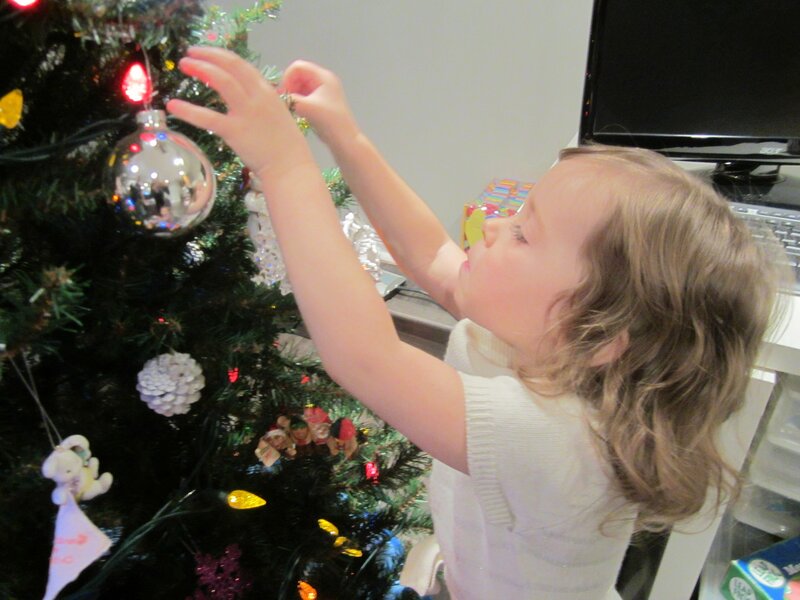 With L another year older, she was able to help out and put some decorations on the tree herself. 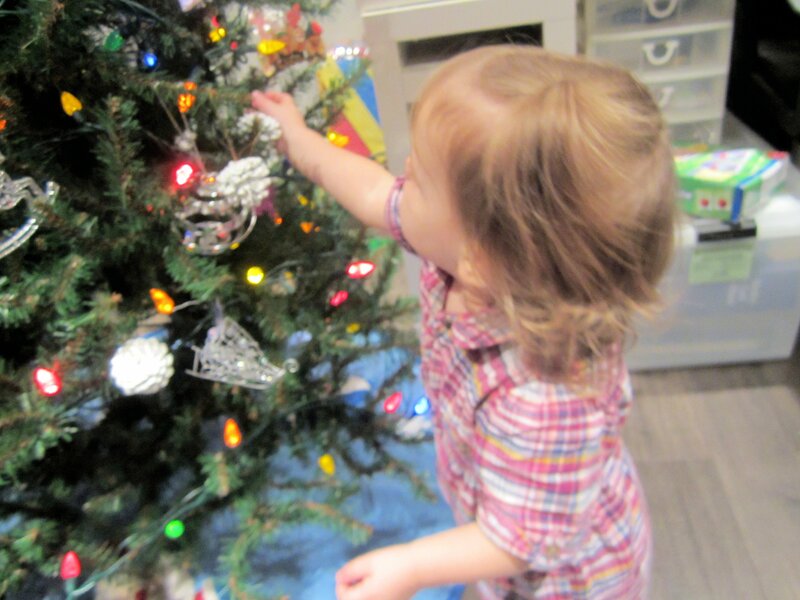 And E was also very helpful in picking ornaments out of the box and brining them to M to string upon the tree. 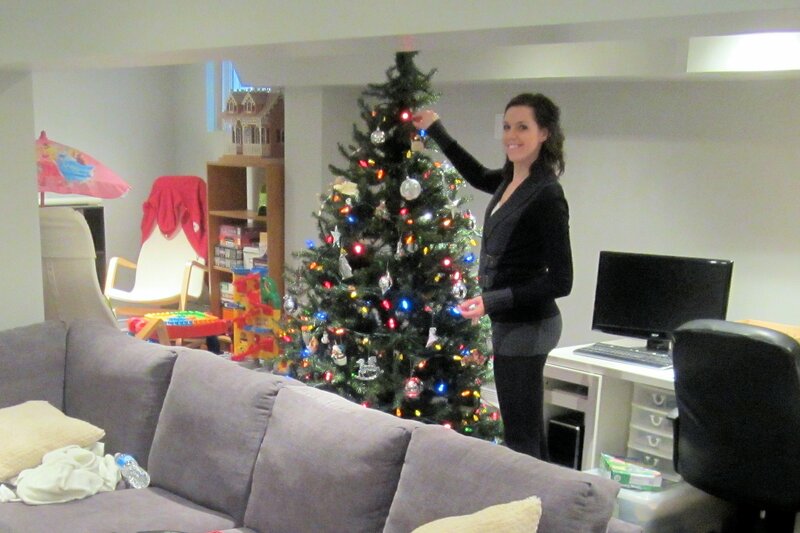 Overall, it was a great family afternoon complete with festive tunes on the stereo. Should I be ashamed to say that my Christmas CD of choice is Justin Bieber? M went for Michael Buble. I love the holidays and I can’t wait to share them with you this year through my “12 Days of Christmas” series of posts.